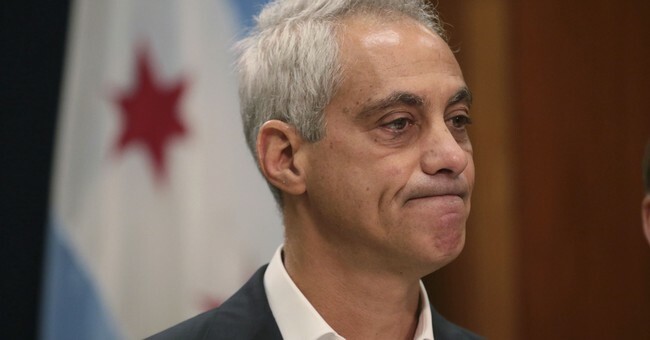 Chicago’s rampant crime rate left Rahm Emanuel with little choice but to withdraw from the city’s mayoral race. One recent poll showed that only 31% would vote for his re-election, and 62% wanted to vote for someone else. Last year, Chicago had 650 homicides. The number was down from 2016, but still almost 90 more than New York and Los Angeles combined. Unfortunately, the true number is even worse, because Chicago has been intentionally misclassifying murders as non-murders. It is easy for Chicago politicians to point fingers and deny responsibility. Insufficient gun control, even in Illinois where it costs $450 to get a concealed handgun permit, is always a popular bogeyman. But there is a very simple reason for Chicago’s crime problems. With only 17.5% of the city’s murders resulting in an arrest, criminals have become emboldened. Nationally, arrest rates for murders are over three times higher. The quality of Chicago’s policing has been deteriorating for decades. Back in 1991, shortly after Richard M. Daley became mayor, 67% of murderers were being arrested. By the time Daley left office twenty years later in 2011, the arrest rate had fallen to 30%. This troubling drop only continued after Rahm Emanuel became mayor. Unlike Chicago’s arrest rate, the national rate has been fairly constant in recent years. 1) Closed detective bureaus in Chicago's highest-crime districts and relocated many to distant locations. 2) Disbanded many gang task forces. 3) In cooperation with the ACLU, instituted new, voluminous forms that have to be filled out each time police question someone in a criminal investigation. This mountain of paperwork gives police less time to patrol neighborhoods. The state of Illinois is adding its own paperwork. Illinois Attorney General Lisa Madigan is now trying to require consent decrees after the Trump administration abandoned the Obama administration’s proposed. A draft decree leaked in July contained a long form that Chicago police officers would have to complete anytime that they point a weapon at someone or even draw it. In some parts of the city late at night, it has been standard practice for police to draw their guns when they are investigating disturbances. But the bottom line is simple: when you don’t catch criminals, the result is more crime. Moving detective bureaus to safer neighborhoods meant longer travel times to crime hotspots. These delays made detectives less effective. The result was more unsolved crimes. If budget cuts necessitated closures, then detective bureaus in low-crime areas ought to have been considered first. But that would have been met with tough political resistance from the affluent and influential people who live there. So much for the Democrats' promises to look out for poor minorities. Chicago Police Superintendent Eddie Johnson blames gangs for the violence. But it takes a lot of hard work for police to infiltrate gangs, and Emanuel’s decision early in his administration to gut gang task forces is not something that can easily be undone. National arrest rates for gang murders are already low because witnesses are loath to get on a gang’s bad side. But in Chicago, the situation has gotten especially bad because witnesses don’t believe that gang members will ever be imprisoned. The agreement with the ACLU was a politically motivated result of the videotaped shooting of Laquan McDonald by police. Emanuel caused a stronger backlash by delaying the release of the video until after his re-election. As arrest rates have fallen and murder rates have risen, Daley and Emanuel have kept pushing responsibility on others. After all, they claim, it isn’t their fault that state legislatures and the U.S. Congress haven’t passed sufficiently strict gun control laws. Back in 2010, Daley claimed that the increased crime rate was “all about guns, and that’s why the crusade is on.” Emanuel has made similar claims. The problem of unsolved crimes seems to have gone unnoticed. Democrats have learned nothing from Chicago’s failed experiment in banning guns, which began in late 1982. After the ban, the city’s murder rates stopped falling and started soaring — not only in absolute terms, but also relative to adjacent counties and other large cities. The lesson for Democrats should have been that gun control primarily disarms law-abiding citizens. Will Chicago’s politicians finally get out of the way of police? Will they let Chicago citizens protect themselves? Chicago’s politicians need to stop blaming things beyond their control for the failure of their policies.